Muhammad Dominguez was born in Caracas, Venezuela in 1986, and since a very early age he became involved in music, starting with the piano when he was 11 and then at 13 he began to learn the bass guitar and classical guitar. When he was 17 years old he started playing the darbuka and became involved with middle-eastern music. At the age of 21 he moved to Spain and settled in the city of Granada. Since then, he has dedicated his energy, talent and knowledge in projects related to Arabic, Andalusi and Mediterranean musical traditions. He performs with various groups such as Al Tarab, a group dedicated to Arabic and Andalusi music and Faluka, dedicated to music of the Mediterranean and Sefardi music. 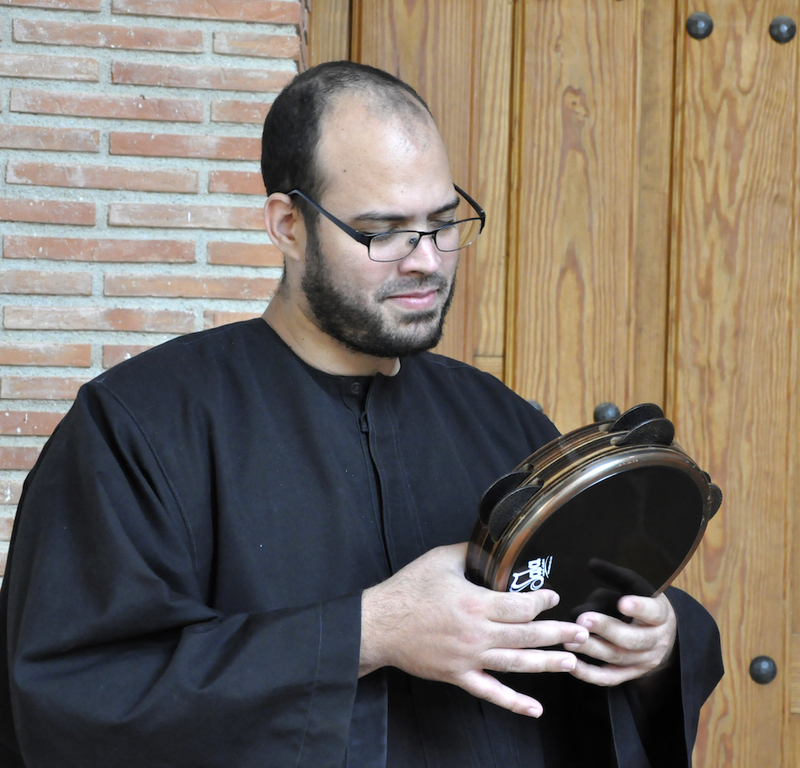 He plays different kinds of drums including the dohola, darbuka, duff and riq. Apart from performance and teaching percussion, he also devotes his time to composition, especially film music. Among the documentaries that he has written music for is Unitea about tea production in Kenya, a short film called Visit Britain and The Letter about a Syrian refugee´s journey to the UK. He has been playing with Al Firdaus Ensemble since 2015 and has performed with them in concerts in Europe, the US, Canada, Morocco and Lebanon. He has also recorded on their new album Nur released in 2017.